Think fast: Your mom/boss/other intimidating figure whose opinion you value just called and said she’s 2 minutes away from your house and will be stopping by for a short visit. Your living room is a wreck, strewn with the detritus of careless living, and you’d really rather not be seen for the slob you are. Not by this person, anyway. What do you do? 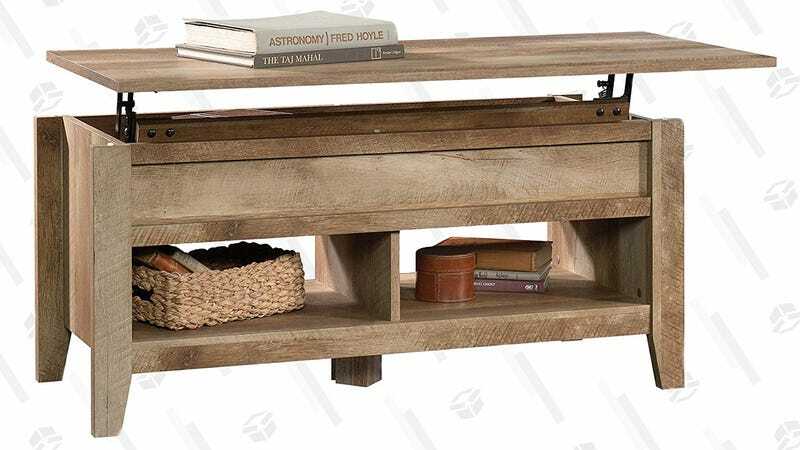 If you own the Sauder Dakota Pass Lift-Top Coffee Table, currently $98 at Amazon, you scoop up as much stuff as you can and conceal it beneath the mobile top. 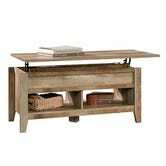 You won’t be able to shove, like, a ton of junk in there, but you can certainly clear off the this and any other tables and maybe hide a stray object or two that would otherwise be sitting on the floor or couch. That’s better than nothing! And before next time, maybe, examine your life choices so you’ll be more prepared.